Cute! Came to your blog via the sewing.craftgossip.com site. What a great idea! I didn’t know it was so easy. I’m going to have to try it. Like right now!! I love your hearts! Thank you – I see that you’re new to blogging and so am I – I just signed up to follow your blog and was wondering if I can post about your blog on my blog – maybe we can help grow our readers. Email me if you’re interested – icecreamandpretzels@hotmail.com Thanks! I agree with Anna, I love to stitch, too! The clothesline bag looks good, it is a nice gift for your sister. this is an adorable project!!! wow… what a wonderful idea!!! i am making this soon!! thank you! I LOVE this too! I think “I” could even make this one and have it actually look pretty good! ;)Super idea! 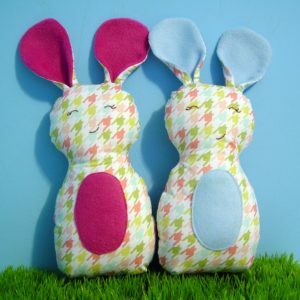 It would also be great for older kids to make for their parents as a gift…going to share! This is so pretty and so easy! I love it! Thanks for sharing! LOVE this! Absolutely brilliant. Saw you featured on Mod Podge rocks. What a cute idea! It came out very pretty! very cute vanessa! you’re on a roll now…. This is adorable. And I bet it looks even cuter IRL. I’ve posted a link. Thanks for sharing! So beautiful! Thanks for sharing. I’m going to link you on my blog. Thank you! This blog post will be advertised on CraftCrave in the Handcraft category today (look for timestamp: [20 Feb 01:00pm GMT]). awe, so cute. they’ll both love them I’m sure. That came out great. I love the vivid green. Your photo is stunning, also. This is really cute, however, my GIRL loves Dinos, so I think I would do this in pink 🙂 Where did you find the pattern for the TREX skull?? I love this! Great way to spice up an old shirt. Thank you! This blog post will be advertised on CraftCrave in the Handcraft category today (look for timestamp: [01 Mar 01:00pm GMT]). I love this dress! I kept looking at it in the gallery. Congrats on being in the top 15! Adorable – congrats on being in the top 15!!! this dress is the reason i bought the paperdoll pattern! love it! voting for you, of course! Totally cute idea. Thanks for sharing! Hey thanks for linking up. We’re so glad you liked our tutorial on these kisses. I made them again this year, too! Love them! Oh my goodness, this is so darling! this is so cute! are you selling them?!? yay! I just read that over at lil blue boo! Congrats! @Tara – do you really think people would buy them? I love these bags – they are so cute! I’m just learning to sew so right now I’ve been making lots of fancy burp cloths since many of our friends are having babies. I’m going to try this bag soon though – we’ll see how it looks! Thanks! cute vanessa! that is really clever! I thought your dinosaur shirt was awesome…great idea – very creative and boyish way to use a ruffle. I was mentioned right along side you for my screen wreath. love those fabrics, so cute. She’ll love it I know! vanessa! That turned out so cute! really great job. awe! she’s too cute! love the fabrics. The napkin rings are so cute! Perfect colors for Summer. I love your blog of course, and another of my VERY favorites is Flower Patch Farm Girl. She is creative, funny, honest and talented. I read her blog every day. I know it sounds a little strange (not in a stalkery way) but she almost feels like a friend. 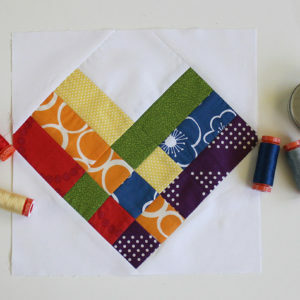 I love this…Always looking for something to keep my hands busy when traveling and away from my sewing machine. Could use fabric glue in this case, I’m guessing. May take a little more, but gonna try it. I get to give a baby shower next month and these will be perfect!! These are very cute. I think I might have to try making them. I know my Mom would love them. Wow! Too stinkin’ cute! I’m going to make some for sure. Found you on Somedaycrafts. I’ll be s follower from now on. Great work! I love this idea! I’m going to make them with my niece when she stays with me this summer. Great tutorial! 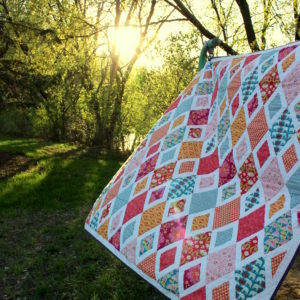 Found you through Someday Crafts… one of my favorite blogs currently is sewtakeahike.typepad.com… lots of fun things to see there! You make we want to quit my job and craft full time. Oh wait, there is that whole house payment thing :>). Too bad for me. Keep up the great projects! Super cute. Makes me want to learn how to knit. So clever! I love your blog, and have given you the ‘Versatile Blogger Award’! that’s great! I am featuring this at somedaycrafts.blogspot.com. I think this is such a neat idea… might make it for my hubby’s bday. This is great! I bought my dad a new shaving brush for father’s day and soap to go with! Great minds think alike! very cute vanessa, I seriously was just pulling fabrics yesterday thinking I should make myself one like that. Although I can probably say I won’t be making it in time for Saturday! I love this dress and the fabric! Great job! @Lulux – Elastic thread can be tricky. It took me several times the very first time to get it right. For me, it seems the key is in how you wind your bobbin with the elastic thread. Too loose, and the elastic doesn’t give you the desired effect. Too tight, and your elastic thread will brake while sewing. When winding the bobbin, you need to have a little tension, but not so much that you stretch the elastic thread. Just practice winding with different tension, then sewing a bit. The wrong side of the fabric should have the elastic thread straight. (if it’s too loose there would be loops on the back). When you’ve got your bobbin wound with what you think is the right tension, sew a few rows on a scrap and after a couple rows you should see the fabric gather on it’s own. It’s all about practicing till you get it right. You’ll learn how it should feel to wind the bobbin, etc… At least it was like this for me. It can take a while, but once you get it, it’s so amazing. After you’ve done your shirring (sewing with the elastic thread) to your fabric, spray it with water, and stretch it out and iron it. The heat from the iron will help shrink the elastic a bit. It doesn’t look too complicated, thanks for this post. That salad looks so delicious! This is such a smart idea!! The fabric is absolutely yummy! So wish I could sew! Your kids are so lucky! I’m going to follow you to see if your sewing abilities will possibly rub off on me!! I love this and I know my son would love to have one! So clever, creative, and FUN!! And a great tutorial, thank you so much for taking the time to put it together! Very cute! I especially love the cute button. I love these fabrics and am going to make my toddler a quilt with them. This would be great if I have enough leftover. That’s the cutest car mat I’ve seen yet! That fabric is so perfect, I need to make one for my boys now :). I’ve given you the Versatile Blogger Award! Come by and pick it up at my blog! Hi You’ve got a great blog and I think you’d be interested in mine. I’d love it if you’d link up to my Tot Tuesdays party- a linky party dedicated to all things toddler: http://www.mydeliciousambiguity.com/ Have a great day! I love any well organized take-along toy. Never know when you’ll need to pass some time with the wee ones. This is fantastic. Fabric is great and the storage for the cars is brilliant. Thanks for sharing. I’ll be linking on Facebook. Girl check you out! This is so adorable! 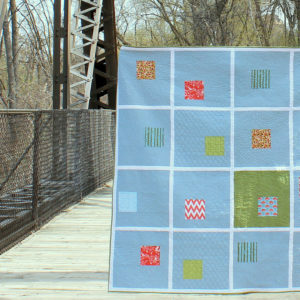 I love Riley Blake fabric and what a perfect project to use it for! Thanks for the fabulous tutorial and for linking up to Hoo’s got talent! 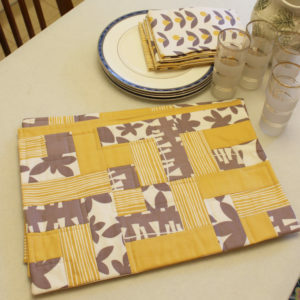 I keep forgetting about freezer paper stenciling, it’s one of those projects on my to-do list. I love the matryoshka doll tee, it’s beautiful! 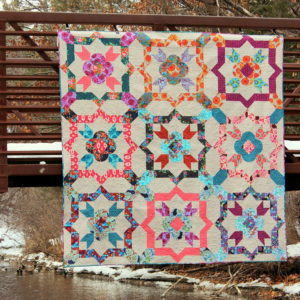 I featured this cute project on Hoo’s got talent this week! Feel free to grab a I’ve got talent button! Thanks so much for the award – you are too sweet! So happy you read The Cottage Home. Your blog is adorable – you have some really fab. tutorials!! Thanks a ton for thinking of me!!! PS a PhD in Chemistry…I bow down to you!!!! That is great. I love the way the picture look (old with Elmo). My husband said the same thing about Elmo. my hubby and are are going to be making soap soon and I love that the soap is in the mug already!! Great tute too. have fun with your new serger vanessa, it’ll be great! Whoa, what a COOL idea. What to do with those pieces…..hmmm, there are so many possibilities!!!! You’ve totally inspired me. I’ve never seen anything like that. That’s very cool! Maybe you can make him a pillow for his room with his art as the center panel. You will love having a serger! I am so jealous!! That is great!! I want a serger but then again I am so afraid of it. Good luck! That is a great idea. I love abstract paintings, and how much better it would be to fill my walls with art by people that I love! Sew glad you had sew much fun! Forgive the puns! It took me a while to get my serger out of the box too. But once I did – I love it! It makes so many things so much faster! Look forward to seeing what other fun projects you work on! I just love kids paintings so free and fun ! Super cute! I’ve made pumpkins before with sculpey clay and I love it. They are so easy yet cute! I love this better than a graphic! so cute vanessa. I love the fabrics you picked for both her dresses! She looks so cute in them. 🙂 I have yet to make another one, just made view c for emily and haven’t blogged on it yet. oh well! So cute! I love the drawing idea! I love this idea. They are so cute and imaginative! I like this type of idea so much better than a graphic type one. We are about the same distance from the MN fair too. We often sit outside and listen to the concerts after the kids go to bed. ooo..we’re planning on going on Thursday-looks like a good time. I haven’t gone for YEARS. I just bought that kit too. I hope to play with it next week! love them!!! love the fabrics. That is SO COOL you got an email from David Walker, holy CR@P! Thanks so much! It’s very cute. Of course, the girls seem to be playing with the bear more than the BabyMan! so cute, it’ll fit right in! what fun bright colors! great job. Hello, I am intrigued by the freezer paper technique. Do you paint over the design and the paint goes through the paper? I looked at the other posts about it but I must be more visual than I realized. I think it is such a good idea for gifts. Can you tell me a little more how this is done? loved! tkx a lot…xoxoxo from Brazil! That’s very similar to the recipe I use (from the back of the brown sugar bag), just a little less flour and brown sugar. Love them! this sounds fun, now if I can talk hubby into letting me get some fabric I am IN! I really like it and I will be watching for the tutorial. That’s a good idea! Glad he’s happy! I don’t suppose you’d consider posting a pattern? I’ve been trying to make a dino for my little girl for ages now but I am very bad at sewing and I can’t work out how to do the gusset. Great idea! My daughter has a blanket she got as a baby and has loved it a little to much, I think I will paint it on the wall.. great idea with the grid… I was wondering how you got it so perfect, I think I can do it! Wow! this turned out so fabulous! you are so talented! very cool Vanessa! You did such a great job. Did your kids want to paint their painting on the walls now too? 🙂 can’t wait to see the rest of your projects. So Cute, I love it ! Awesome. I’ve been meaning to update the dresser in the baby-man’s room, but haven’t gotten around to it, yet. Maybe I’ll have to encorporate this into my fiendish plans….. This is wonderful. What a clever way to totally change the look of this dresser. Your little princess is sure to enjoy this for many a day! very cool! Great tutorial! I will have to try this! Thanks! So pretty! She will enjoy those! Yay! The last giveaway I won never arrived, so this is a great treat. Thank you so much! This is AWESOME!! Thank you so much for re-posting this. This is SOOOOOOOOOOOOO CUTE!!! I wish we were going to have kids around for the holidays this year!! Wow that is a lot of snow. It snowed here too but quicky turned to rain. I enjoyed seeing your pictures. Love the dino bones. I have a couple boys who would love those shirts. Here are a couple of my favorite freezer printings I have done. My first, I decided to go big or go home with the pattern. Then my favorite one so far I have done. cute, cute! 🙂 I’m sure she’ll love it. Hi! Leave my blog so you can see my wall decals’collection and skins collection. Thank you and best regards from Buenos Aires, Argentina. Very cute project, very well-explained. Thank you! great idea! wonder if it would cut on the cricut??? What an awesome idea! And a great use for those random tupperware lids that I can’t find the bins for! Thanks for the inspiration. So the contact paper really doesn’t peel the paint off? Wow. If so, I must try this one. I don’t have japanese fabrics but I do have a nice collection of vintage sheets I have a har time cutting into. very cute! I have made some similar to this, I never thought of gathering it though! I’ll definitely have to try it! excellent! I am making a few different kinds of headbands for my friend for christmas – and this will be a perfect addition to the mix. Thank you!! Super cute. I’ve made headbands like this, but like Lynette I never thought to make them ruffled! Very cute! 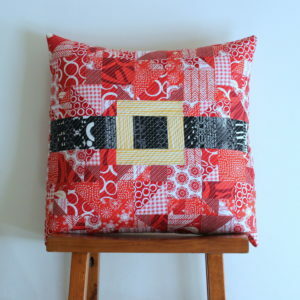 Great way to use up my fabric scraps. I caught this over at Someday Crafts Linky Party. Great idea…I think we’ll make some for an advent activity. Thanks! Oh these look good! Ive made similar to go over plastic headbands – always a gift hit! What did you breakfast today really! That is a beautiful dress. I love how the tie matches (even on the inside). How did you figure out the middle strip? It’s the only pattern piece I can’t figure out. 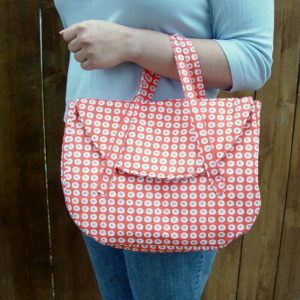 Take a look at my instructions for sewing the bottom of this bag. That should help you with the corners at the ears. Awwwwww, I LOVE how it turned out! And you whipped that out so fast. Beautiful. And i love the colors. Thanks for sharing! Both are absolutely gorgeous… hope you get a nice picture of your kids in them. Gorgeous Christmas dress!I will have to check out that pattern for my 2yo. They will look soooo cute in matching dress and tie – now if only I had thought of that – a tie would be much easier to make for my 5yr old, but alas I still have his Christmas shirt to pull together. Love the Rollie Pollie chairs, you did a GREAT JOB. Thanks for all of those game suggestions, besides memory we don’t have any of them. I will definitely have to look into them. all you other gifts look great too! That pic is SO amazing! I had to stare at it for just a bit—LOVE how the tie EXACTLY blends into the dress during that sweet, sweet kiss! Such a keeper!!! Happy belated Christmas to you, too! Ooh, great gifts! Your freezer paper shirts look so professional – I must try that some day. I love those rollie pollie chairs, too. Just perfect! Very cute and cheerful. A great way to start the new year in the kitchen. Love the material and also love reading your blog. Happy 2011. Love it!! Im to chicken to try one… maybe this year… maybe not… But I love love love your color choice! Your niece is very lucky – this will be treasured for many years to come!! he he…my dad would have LOVED that shirt. He was also blind…and had a wonderful sense of humor..
Oh I may just have to make one for my son… he’s blind. I think his teacher would get a kick out of it. These look like some lovely biscuits, so nice and crunchy on the outside. I would do this in pink 🙂 Where did you find the pattern for the TREX skull?? super cute and just my colors 🙂 what a lovely giveaway! thank you! I love the fabric and colors! thanks for a lovely giveaway. Oh how pretty! I love this! I love the name of these biscuits. Sometimes I feel like biscuits ARE an emergency need! The colors are stunning. It looks like a fun, mood brightening accessory. Just what I need for winter! I’m just learning to use accessories and I know this would brighten my look! thanks…your instructions and photos are so easy to follow! so pretty! I promise I’ll wear it all the time! I would feel honored beyond belief to win. I *love* the scarf! Such a fun idea and easy. I did this last Valentines Day with a heart shaped muffin tin. It turned out super cute. It’s a fun activity to do with the kids. Takes me back to the shrinkiedink days. LOVE this! I think I know what I’ll be doing this weekend! 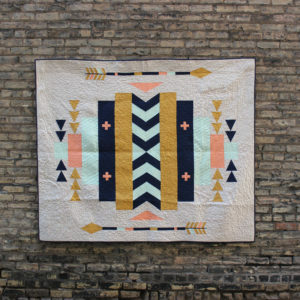 I just saw this on Craft Gossip and had to stop by and tell you how much I love it. So precious. Clear, invrimatofe, simple. Could I send you some e-hugs? I love those fabrics! Nice job! Stop by and check it out. Thanks for the inspiration! Super cute and thanks for the tutorial! I love this and will share with the my kids thank you. I also was told you could do this with the candy trays for fun shapes and designs. also i was told you can do this in a big long cookie sheet and then while they are still hot but cooled off a little put a cookie cutter and cut it. don’t take it out until it is completely cooled and then pop the extra around it and the shapes come out nice and clean. Do you know if you can do that or not? You are so talented. I found your tuturiol on the endless scarf and I plan to make one this wk. Found you on the Tatertots and Jello blog. I’m now following you, I hope you’ll come on by and follow me back. @Kari – I’ve never tried either way you mentioned. I’m sure the candy trays would work, but I wouldn’t put them in the oven (I’d pour the melted crayon in). I’d be curious to know how well the cookie cutters work. Let me know if you try it. This is so very cute! Thanks for sharing and she is VERY cut in cherries! Yummy! I’ll have to hide some bananas in the cupboard if I want them to make it into bread! 1. For a faded/aged look use acrylic paint, it’s permanent and works great! 2. You can print directly onto your freezer paper (non-plastic coated side), by cutting your freezer paper to the right size and putting it through your printer… this saved a TON of time! I am in love with this! I can’t wait to get my hands on the supplies. My son will go crazy! What a cute looking shirt! One of the first things that I ever made was a similar style wrap shirt for a baby – now why haven’t I made one since? I love this pillow. 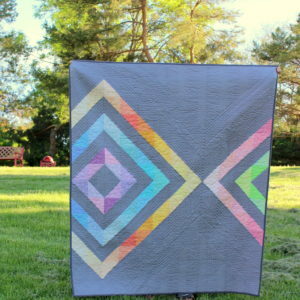 I am making one to go with a quilt I just finished for my boy- thank you for showing the more masculine colors. I love it! I have to ask…I have done many of these and have tried many different heat setting to iron the paper on the fabric, but sadly most of the time I get color bleeding under the paper leaving not so perfect lines. I have tried a paintbrush, the sponge, doing very thin layers to avoid soaking it with too much paint at once, etc. Any ideas would be amazing as it frustrates me to no end! Liz – I usually use a cotton heat setting when I iron down my freezer paper. I’ve also found if I move remove the freezer paper and iron it down again it doesn’t give me nice edges so leave it down once down. Also you need to make sure the paint is dry before you remove the freezer paper – otherwise you can get some bleeding on the edges as you lift the paper. My other suggestion is that they’re may be too much paint or you are lifting the paper with your brush near the edges while painting. When painting the edges use strokes that go from the outside-in (so from on the freezer paper to where you want the paint). That way you won’t lift it at the edges. Hope these suggestions help! How cute! I love how you say “the tiara was just hand sketched onto some freezer paper” as if we all had freehand sketching skills! I really enjoy your ideas for transfers and stamps. I have two young boys so I am always looking for fun ways to spice up simple clothes and accessories. Keep up the great work! Really, really cute! I don’t see a ton of boy craft ideas, so I love this – perfect for everyone! I love his final picture – it’s fantastic! Thanks for sharing! love stamp carving! this is awesome! I love it! Thank your for your inspiration! I know just what you mean. It takes more hunting to find just the right fabric for boys. I made a few of the LBB hoodies for my guys last fall and the boys still love them. Your shark fabric is so cool! I was just checking out your carved stamp post yesterday, btw. Those designs would look great on fabric too! Very cute, I like the sharks. Love this! I have an old dresser that needs a makeover and this would be fun to try on it. Thanks! I think it’s perfectly fine, just like it is. I would work on clouds on a new painting and give this to your husband, just because. I think you are actually quite a good painter. Much better than me ;). So super cute…thanks for sharing!!! Precious! Love the part “about the author” and photos. Adorable. Check out our giveaways at Milk & Cookie Party! That’s really neat! and skittles are my favorite. My kids even like it they want me to make them one. Thanks for the great tutorial. Oh my gosh. I’m bookmarking this. I can’t wait to make them! I’d love to have you come link up at my For the Kids Friday Link Party! Stop by and check it out! Ok… seriously, these are too cool! I’ve got to find a place to share them on my blog. I’ve already shared on Facebook. Where do you find iron on vinyl? I bought it at Joanns, but you can also find it in Amazon. Is it possible to do this without a sewing machine? Can it be sewn by hand? I don’t have a sewing machine and I don’t know anyone that has one! 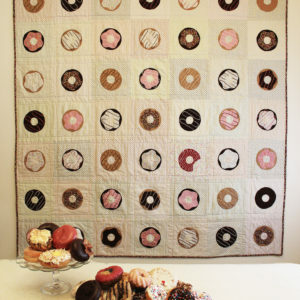 And I really want to make one of these! I love it! I want to make one as soon as I have some suitable candy wrappers. Thank you for posting this wonderful tutorial. This would be so great as a coin purse too! Really fun, and great tutorial! Individual Reese’s peanut butter cup wrappers make the cutest coin purses!! Wow, I love them! I hope I can find iron on vinyl here in oz so I can make these. That is very clever! Love it! I’ve always wondered how these were made – Thank you! Now I’ve got to find iron on vinyl!! oh and buy some sweets!! wow! You say you can’t paint! that painting is amazing! :) Your husband will love it just as it is! TOO COOL. Maybe my kids will eat a healthy snack from such a cool bag. What great gifts to give to little ones as well. Cant wait to make. Cute photo! Even more so when you consider the print! Congratulations to Terri and yes your daughter does look like the picture. Too Cute! I’m so excited! I know my little guy will be also 🙂 Thank you so much! Can you share where you got the adorable heart tshirt you used? Thanks so much! I picked up the t-shirt at Target for $6. I also meant to ask you, what fabric is the bunny painted on? It’s crazy how much that photo looks like the print! This is so clever!! Great tutorial! I’d love for you to link up to Wow Me Wednesday! OK, trying to makme this right now — how on earth do i turn it inside out to the right side now?? To turn it inside out: grab a safety pin (with a head that can fit through the opening). Attach the pin to one side of one end and start pushing the pin through the center. It will take a bit of time, but it will work and you’ll get the pin out the other end, then you can pull the rest of the headband right side out. This is great! I’m gonna have to make these for my kids. They will love them!!!! This is a super great idea! Some years, for birthday presents for my grandchildren, I just send them money, but I’m always thinking of a fun way to send it. This would be so cute to make and tuck the birthday money inside! I’m doing it!! What a fun project! Thanks for sharing!